Long before you ate bananas for fiber and potassium, you had to be convinced to eat your fruit as a dessert. 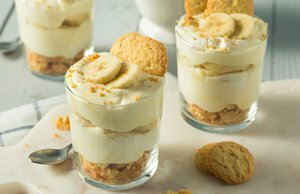 Enter: the childhood favorite pudding.For the Banana Pudding recipe, click here. 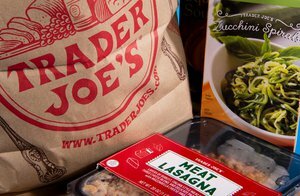 Long gone are the days of the humble, old-fashioned soda fountain and ice cream shoppe, but classic staples of those places still exist. 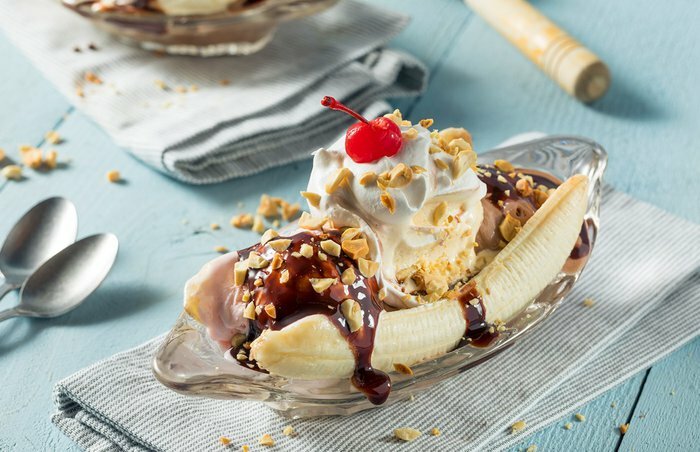 Luckily, a banana split is super easy to make at home.For the Banana Split recipe, click here. Somewhere between mini cakes and a cookie, cake mix cookies use boxed cake mixes and turn them into fluffy, super sweet mini desserts. 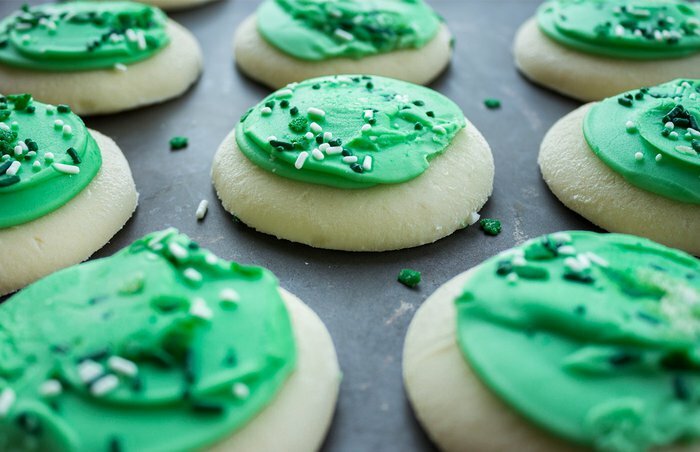 Of course, the best cakes have sprinkles, and so do these cookies.For the Vanilla Bean Confetti Cookies recipe, click here. Another beloved hybrid between cookie and cake, the cookie cake is a crispy, chewy delight. And it's just as easy to make at home as it is to pick up from the store!For the Chocolate Chunk Cookie Cake recipe, click here. 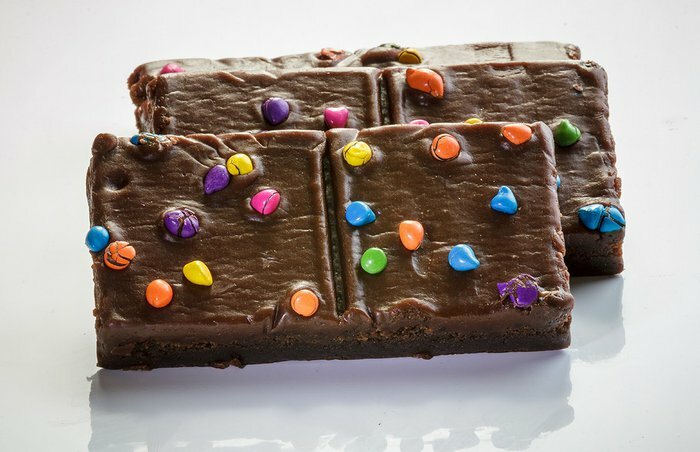 If you ever bought your lunch at school, you certainly know Cosmic Brownies, those dark chocolate, chewy treats with a layer of chocolate frosting and little candy-coated chocolate balls on top. They're hard to perfectly replicate, but you can always make rich, fudgy brownies at home.For the Flourless Blender Brownies recipe, click here. 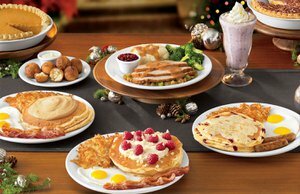 The highlight of the old-school Pizza Hut buffets from the '90s wasn't unlimited slices of pepperoni pizza but the beacon at the end of the buffet: dessert pizza. 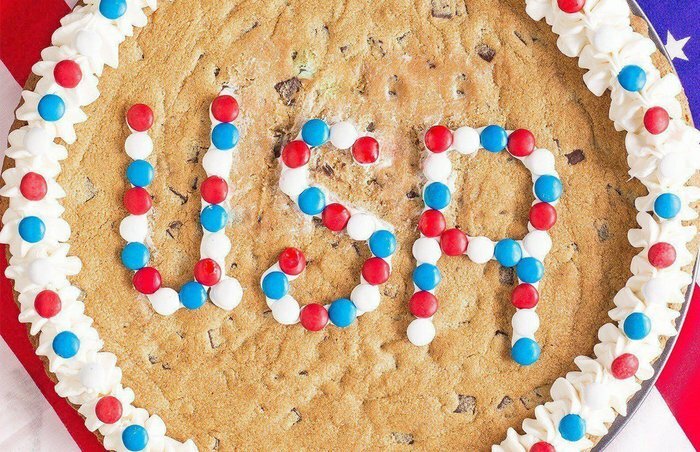 Is it basically a giant cookie? Kind of, yeah. But dessert pizza is its own thing worth remembering. 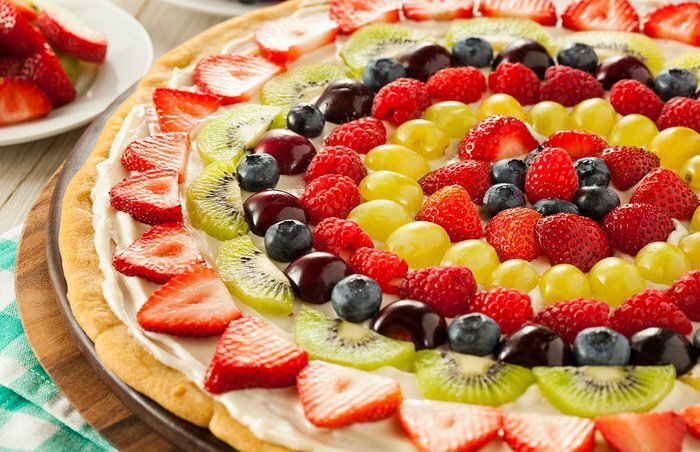 For the Sugar Cookie Dessert Pizza recipe, click here. Dirt cake is a child's dream come true. 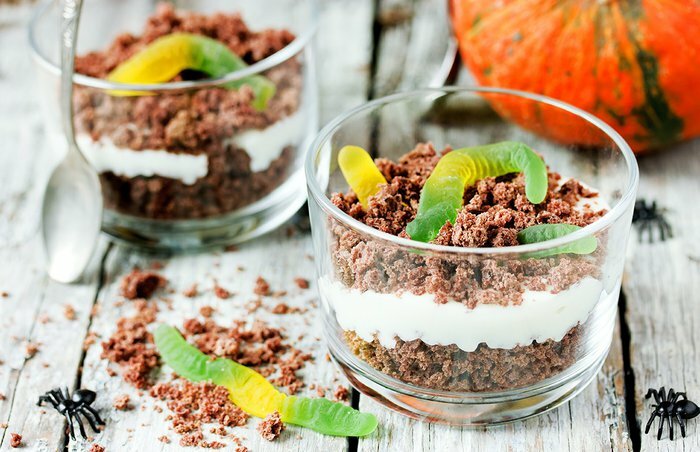 It mixes together pudding, Oreo cookies and gummy worms for the ultimate sweet dessert. Even as an adult, you'll appreciate the particular charms of this cake.For the Dirt Cake recipe, click here. 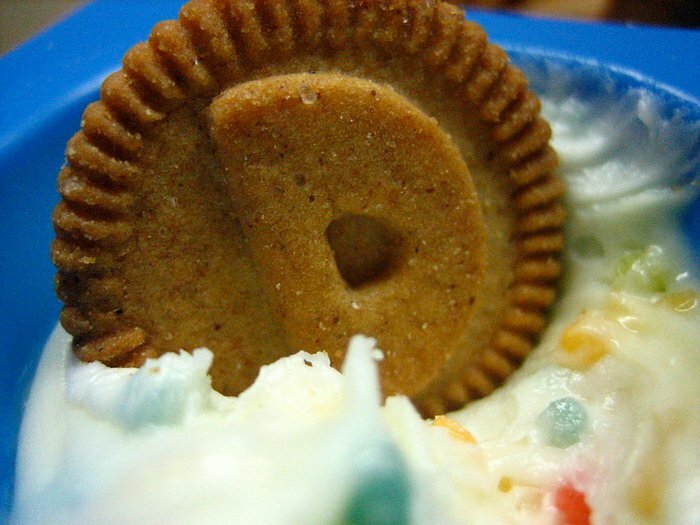 Once a staple of childhood lunchboxes everywhere, today Dunkaroos are actually only sold in Canada (though rumor has it, they've been discontinued there too). To replicate at home, make a simple buttercream frosting with sprinkles mixed in and some crispy vanilla cookies. For the Crisp Vanilla Butter Cookies recipe, click here. 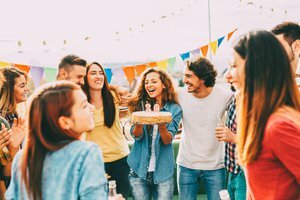 Nothing is more fun than Funfetti cake. 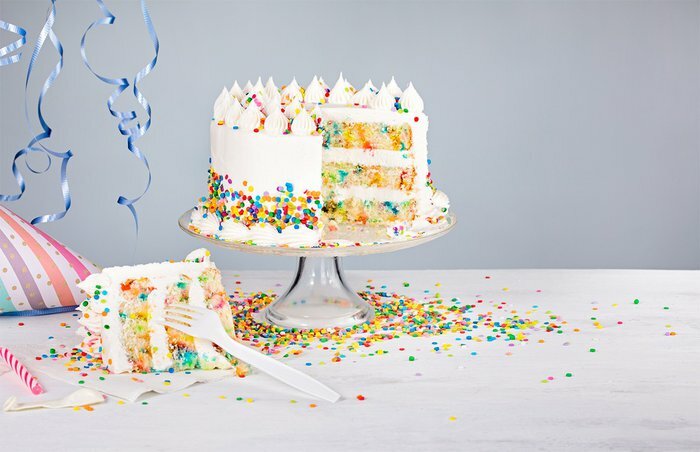 You know the one: classic white vanilla cake with sprinkles mixed in throughout the batter. Sugary sweet, colorful and nostalgic, this cake is as good for a 40th birthday party as it is for a fourth birthday party.For the Funfetti Mug Cake recipe, click here. 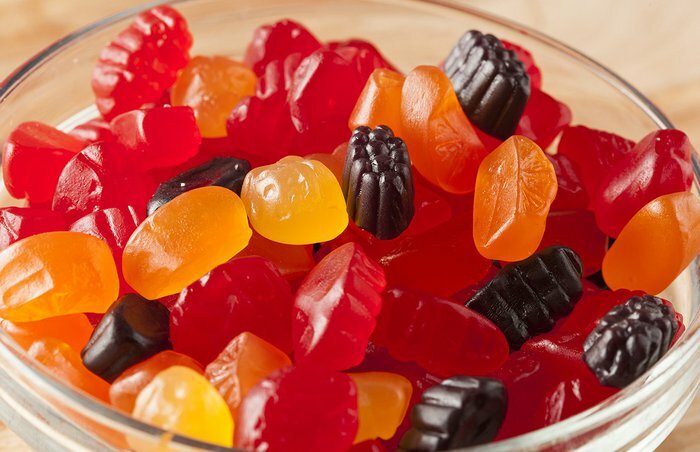 The perfect small, sweet bite after any meal when you're a child, gummies hold up shockingly well when you're an adult. Whether you prefer worms, fruits, bears or some other shape is up to you! For the Homemade Gummy Bears recipe, click here. 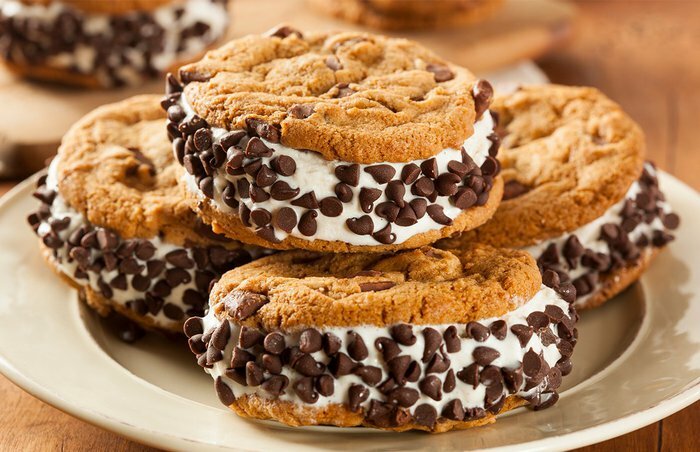 Remember when your mom used to take two graham crackers and put Cool Whip between them for a sort of janky but totally satisfying ice cream sandwich? You can recreate that same experience - but you know, make it classy - with homemade cookies and ice cream. 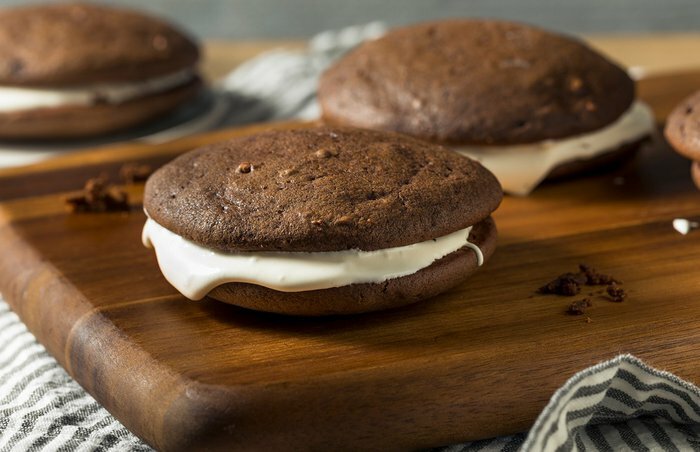 For the Classic Ice Cream Sandwiches recipe, click here. Nothing makes an easy, child-friendly dessert quite like a freezer, and the icebox cake proves this. These deliciously old-fashioned cakes will fulfill any sweet craving, and they're particularly useful for those dog days of summer. 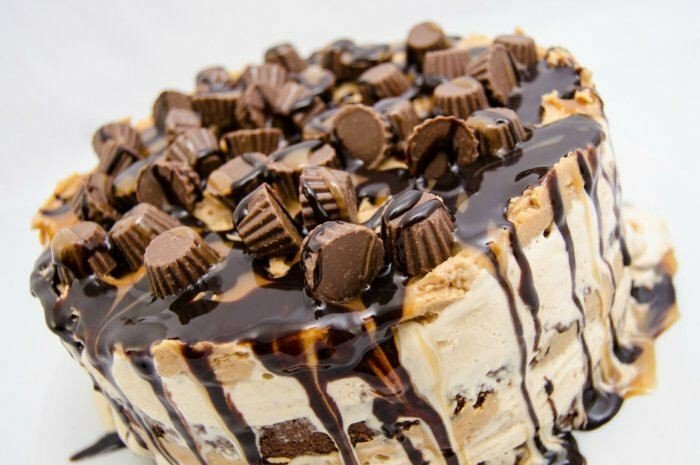 For the Chocolate Peanut Butter Icebox Cake recipe, click here. Few things say a homemade packed lunch quite like a classic lemon bar. 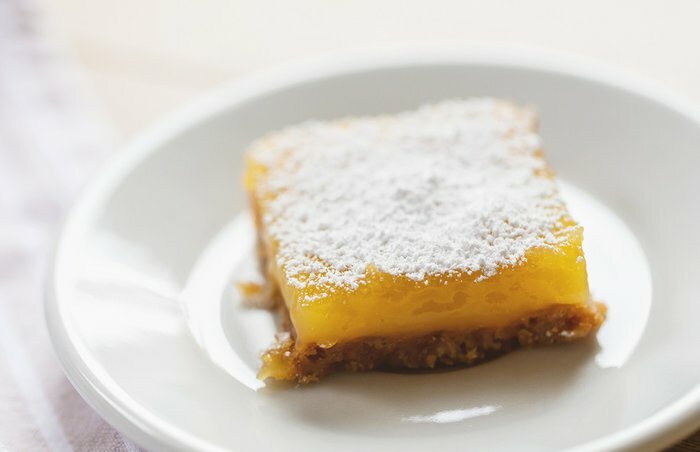 Tart, sweet and super satisfying, this dessert tastes like a break during a long school day.For the Classic Lemon Bars recipe, click here. 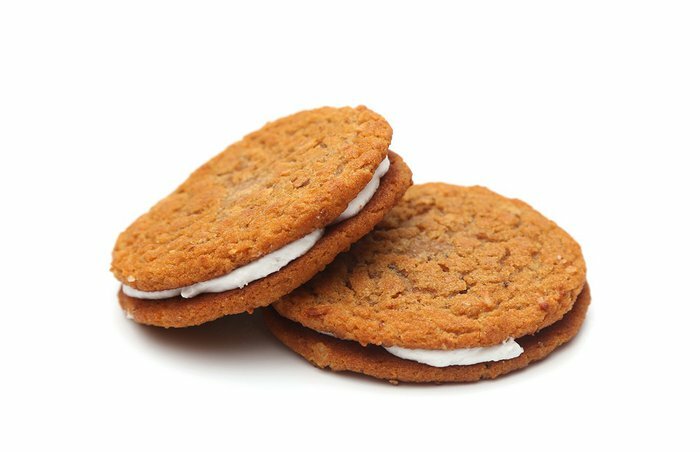 Another classic of the school line, the oatmeal creme pie (also from Little Debbie, like the Cosmic Brownie) is chewy, sweet and so scrumptious. To replicate at home, make a classic buttercream and a chewy homemade oatmeal cookie. 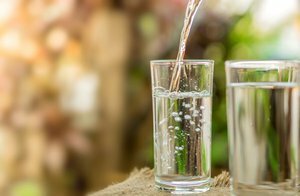 Get ready for the taste of pure nostalgia. For the Oatmeal Cookie recipe, click here. Nothing says convenience like a Pop Tart. Whether you ate them as a quick breakfast on your way to school or as an after-school snack, these toaster pastries made up a significant portion of many childhood diets. 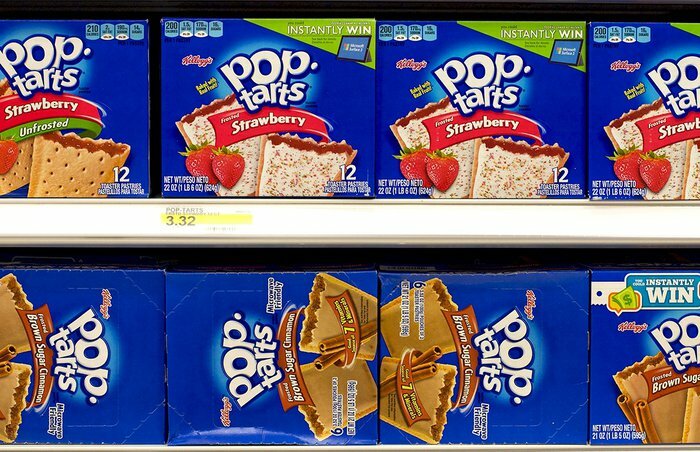 The Pop Tart is alive and well for adults today, too. It's just been rebranded as a "hand pie. "For the Strawberry Rhubarb Hand Pie recipe, click here. 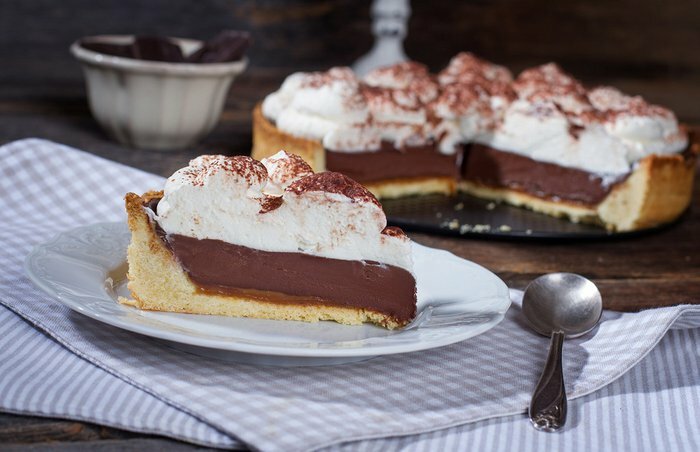 Also known simply as a chocolate pie, this creamy, dreamy dessert was easy for moms to make in a pinch and delicious enough for any kid to gobble up after dinner. For the Mocha Cream Pie recipe, click here. If you grew up in the '80s, you definitely remember Jello-O Pudding Pops. 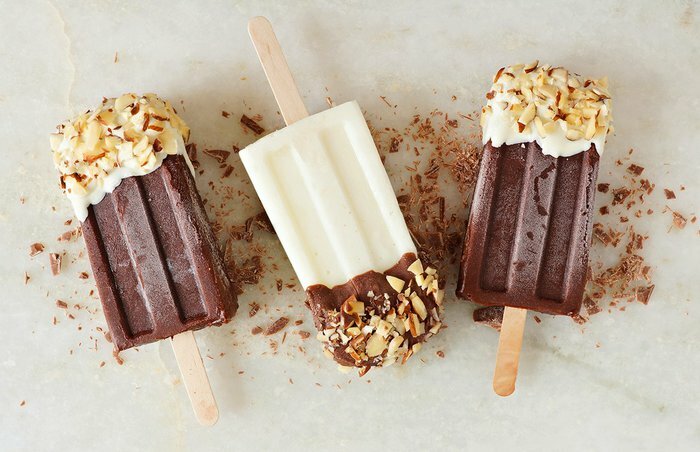 The OG recipe for those beloved frozen fudgy treats is long gone, but you can always try to make them at home. For the Pudding Pops recipe, click here. 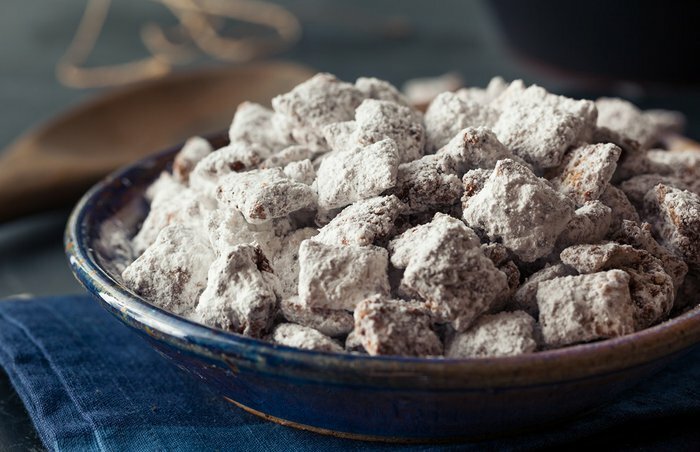 Also known as Muddy Buddies, Puppy Chow may be one of those childhood foods you can only find in the Midwest. Regardless, this mixture of Chex cereal, chocolate, peanut butter and powdered sugar is endlessly snackable. For the Puppy Chow recipe, click here. Like Jell-O Pudding Pops, Flintstone-branded Push-Up Pops were another classic of American childhood summers. Today, Nestle still sells Push-Up Pops in the orange flavor, albeit with Fred, Betty, Pebbles and Bam-Bam absent. Want to know a secret, though? Those Push-Up Pops were basically just sherbet. 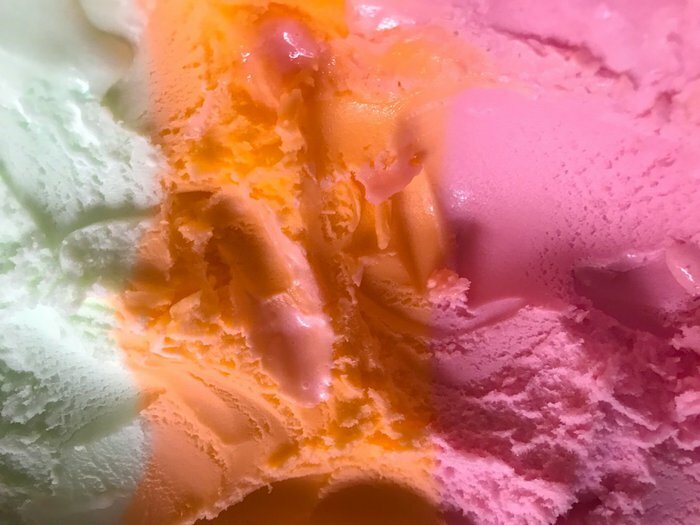 For the Orangesicle Sherbet recipe, click here. 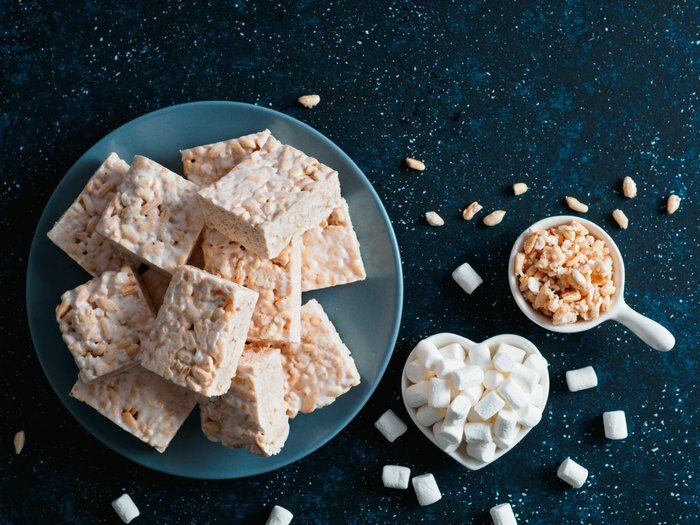 We love a three-ingredient dessert, and Rice Krispie Treats fit the bill. All you need is crisp rice cereal, butter and marshmallows for a lunchbox treat that holds up after all these years. Of course, you can always get experimental with them too, since the base recipe is so simple. For the Matcha Rice Krispies Treats With Smoked Strawberries recipe, click here. 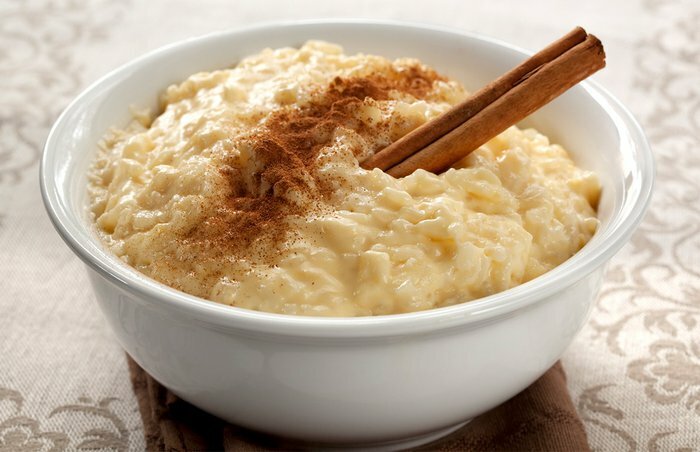 A classic of mothers' kitchens and diners everywhere, rice pudding is a dessert that's almost a meal in and of itself. 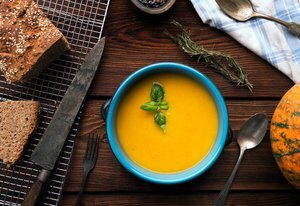 Spices like cinnamon help to make this the ultimate comfort food. For the Horchata Rice Pudding recipe, click here. There really is something about cinnamon that recalls days gone by. 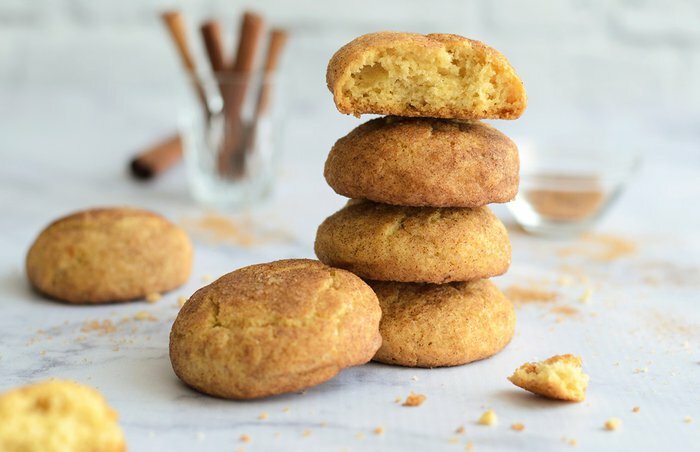 The snickerdoodle, a nostalgic cookie with a ridiculously fun name, makes ample use of the comforting flavor on the outside of a cakey, soft vanilla cookie. For the Snickerdoodles recipe, click here. A favorite junk food snack cake for the ages, the Hostess Snowball is a marshmallow and chocolate orb with a colored coconut coating that changes with the season. Luckily enough for the home cook, they're basically spherical cupcakes and easily replicated. 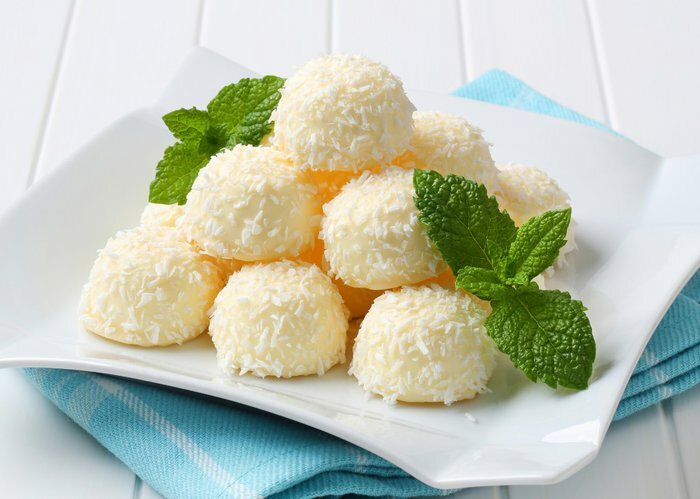 For the Coconut Snowball Cupcake recipe, click here. 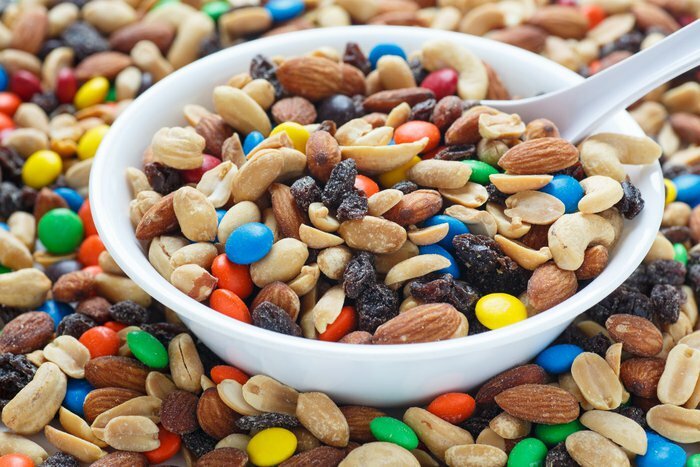 You probably think of trail mix now as a great snack full of healthy fats - but when you were a kid, it was a bonanza of M&M's, peanut butter chips, dried fruit and salty nuts. Those sweet elements are what made it great. For the Dried Cherry Trail Mix With Dark Chocolate recipe, click here.